Nautical by Nature: The giveaway has arrived!!! i love both giveaways! i don't do the follower thing b/c i use google reader...does that count? b/c you've been on there for months!! 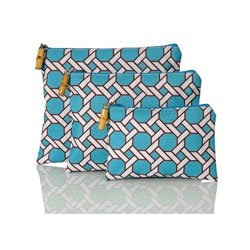 Love the Toss makeup bags! These bags are too cute. How exciting! Please enter me in the contest. How adorable! I love the marina knot design! O I love giveaways although I have never won, but they are still fun. I am linking up to follow now! oh my goodness! This is very exciting! *crosses fingers*! How fun! I've read your blog but finally became a follower now! I love those bags! What a nice giveaway. I also follow you on Google Reader -- does that count? So cute! Yay for giveaways. I am such a Vera junkie. I am already a follower, yay! How nice of you to do a giveaway, you've picked great prizes! I'm already a follower and adore you blog. Thanks for hosting and I'll be crossing my fingers for a sweet xmas surprise! I like the geometric look to the bags. I would love to win and I am becoming a follower! How was I not a follower before? Silly me. Thank you for being such an anchor/sailing- related stuff lover.. and here I thought I was the only one obsessed with anything nautical! I would love to enter, thanks! I just became a follower as well :) Didn't realize I wasn't before! What a GREAT giveaway! I would love to enter and I'm already a follower of your fab blog. i check your blog everyday on google reader - is that being a follower? sorry to sound out of the loop! thank you again, fingers crossed and happy holidays! Love them! Count me in! Miss Kate, your head must be ready to explode with the internet connection you described! Great giveaway... we do love Toss! Hi, excited to enter your giveaway! And I just became a follower! 58 comments and growing...I need to have a give away! Love your blog. Oh I adore that design! Thanks for hosting the fun giveaway!! Pick me! I am already a follower! Would love to be entered in your giveaway---thank you! Yay! My internet works on the day of your giveaway! Yes please throw my name in the hat. Three weeks more in Abuja then I back to Jersey then Boston! I miss the snow (sob sob). As for your question, yes. I'm in L.A now and will be staying here. And I have absolutely no plans from now until the time you leave. So I'm free to meet up whenever you have time. I'd love to do something! aaww these are ssoo cute! i love the design on those bags! You're blog stalking me now, too! Yay! Love your blog. Are you a Delta Gamma, or just like anchors? I just put one of those follower things on my blog- I had no idea they existed! Thanks for looking at my blog. Yours is great!!! So cute! I'd love to be entered! already a follower =] count me in!! WOW you've got quite the giveaway going here so I may as well enter! Love that pattern, so cute! Love, love, love the giveaway items! Count me in! How fabulous! Would love to win. What a fabulous giveaway!...and I have you on Google Reader!